Throughout the world, especially in more developed economies, electronic devices become more important to businesses and individuals on a daily basis. Even in developing countries, where access to sources of electricity is irregular, electronic devices like mobile phones can be found everywhere. In order to interact with these devices, control systems like keypads, switches, panels and screens are necessary. Membrane keypads are among the many user interface construction possibilities. They are used as button covers and displays on cell phones, automobile control panels, computer controls and even light switches. Industry, commerce and the consumer products market all rely on technology that integrates membrane keypads and other interface systems. The personal computing industry, which serves almost every person in developed economies and a rising number of people in the developing world, depend heavily on keyboard production. Most personal computing keyboards involve moving parts like plastic keys; membrane keypads involve a sheet, usually of plastic, layered on top of a circuit board and printed with symbols. Membrane keypads are more frequently used equipment control systems and in small consumer electronics applications, as most varieties are not practical for prolonged typing applications. While membrane keypads are not as suitable for typing applications as plastic keyboards are, their qualities make them very suitable for other applications. Consumer electronics like mobile phones, kitchen utilities and even automobiles often involve the use of membrane keypads. In telephones, membrane keypads are useful because they can be clearly printed with labels, they are not susceptible to build up of dirt because they feature no separated buttons and they are moderately resistant to accidental spills. This is also true of keypads for use in domestic utilities like blenders and other food preparation equipment. Membrane keypads usually consist of three layers. The bottom layer of the keypad is fitted with circuitry that is connected to the rest of the electronic device. Above this layer is an electrical insulator, and above that layer is the membrane on which the symbols are printed. On the lower side of the membrane are conductive materials, which, when forced into contact with the bottom circuitry layer, completes an electrical circuit and sends a signal. Some configurations also feature a layer of plastic or metal domes beneath the membrane, which, when depressed, makes a noise or offers resistance; this indicates to a user whether or not the keystroke has registered. 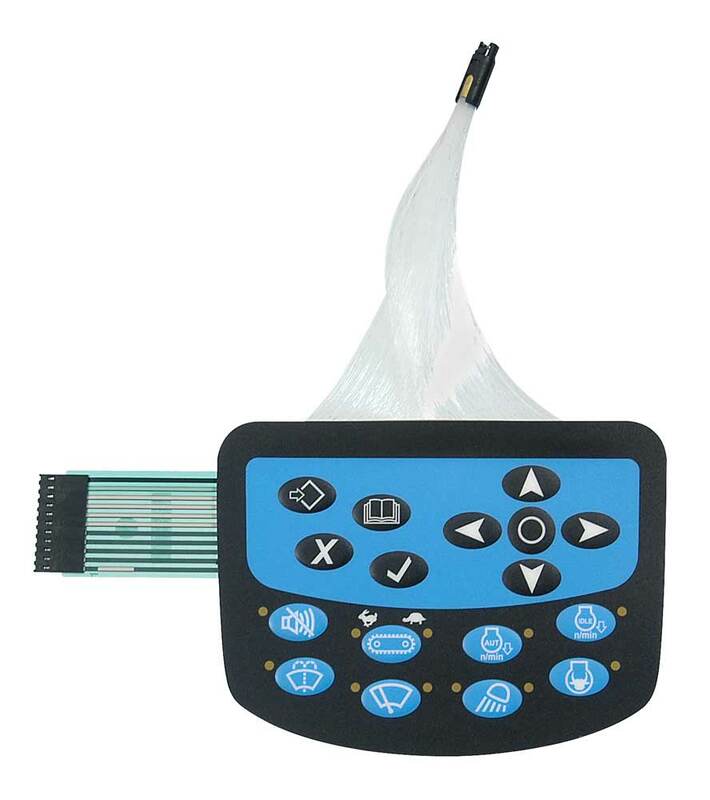 Because there are so many membrane keypad possibilities, it is not difficult for electronic device manufacturers to find the right model for their products. Membrane Keypads Membrane keypads are user-equipment interface utilities that allow for the delivery of commands to electronic devices.